The German Djane and Producer Anja Augner from Magdeburg is a young aspiring female artist with clear objectives. Her passion for electronic music starts many years ago. 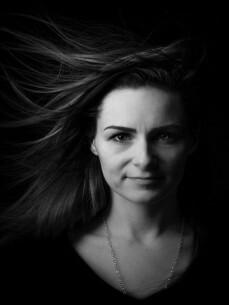 From House till Techno, Anja was influenced of all faces from the electronic scene, but her big love is Techno. Her first experience she got from small club gigs in her Hometown. Since 2014 she begun to produce her first tracks & remixes. Now 2 Years later she is hungry and wants to become a part of the recognized Techno scene. Anja also host a party „FE.MALE SOUL“ together with other female Djanes from around the globe were just females playing at this night. Everywhere where she played from London, Berlin or Hamburg she hypnotized with her driving sets! So watch out for a German whirlwind of grooves coming to rock a dancefloor near you.